1, 3 levels adjustable brightness design. 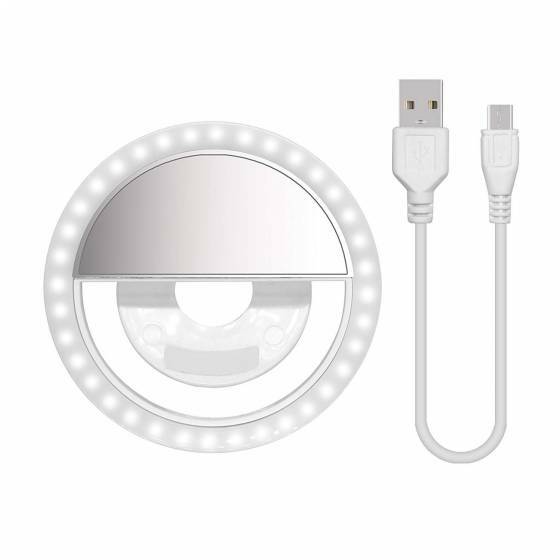 2, The round Selfie Light with 36 Internal led bulbs, that will light up brightly and equally every angle. 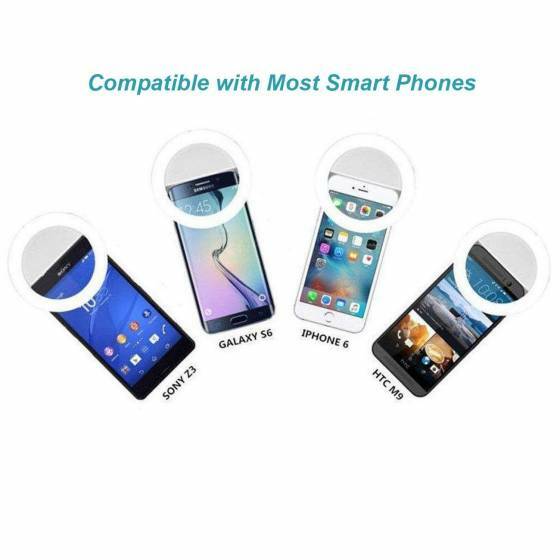 3, rechargeable battery operated so you can save your phone energy compare to those need to plug into the headphone socket. 4, Small and Portable to carry anywhere. 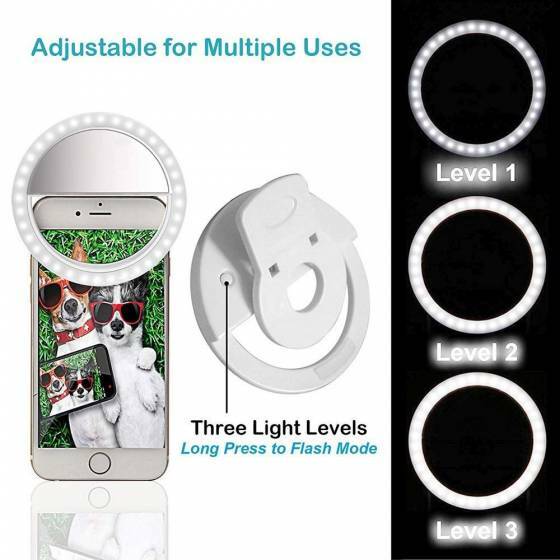 5, Easy to use, you can easily clip this item onto the 5, You can use that Selfie Light to take. 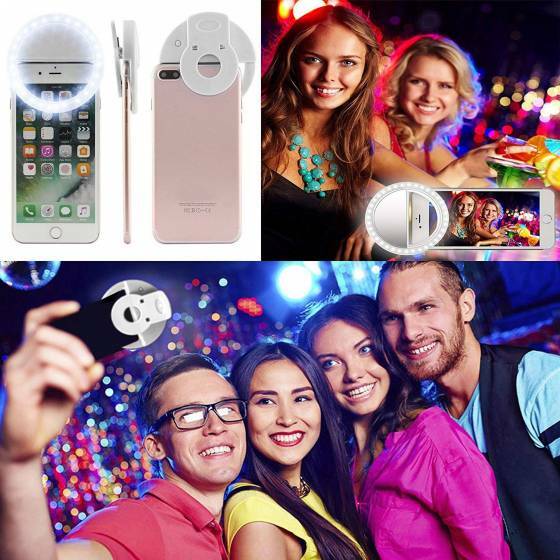 ✔RECHARGEABLE BATTERY WITH USB CABLE: This Selfie Ring light includes a built-in rechargeable battery so you don't need extra batteries. 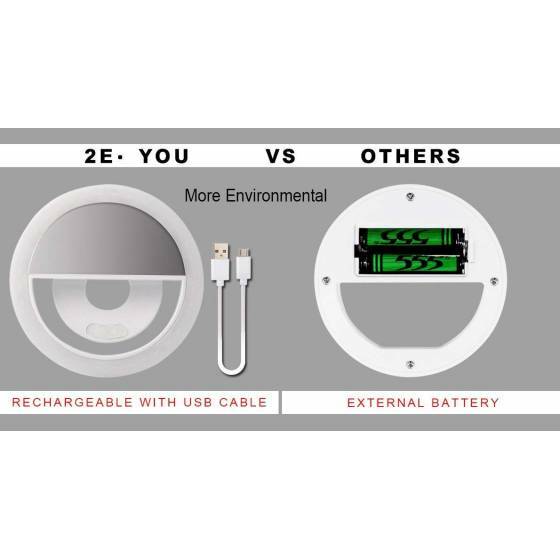 It features both environmental protection and energy conservation. ✔COMPATIBLE WITH ALL SMARTPHONES: Enjoy your shoot to the fullest. ✔DIMMABLE FOR MULTIPLE USES: With 3 different levels of brightness (low light, medium light, and strong light), you'll find the lighting needed for your photos. 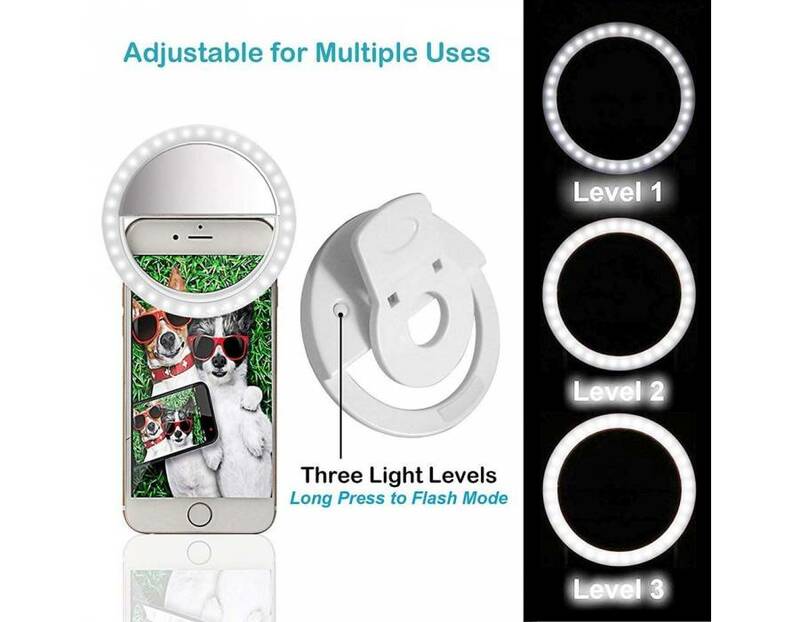 With this selfie ring light, we will not worry about the dark environment anymore. It can be used as a simple flashlight or a small emergency lamp and can be used separately as an arbitrary source. ✔UNIQUE AND ORIGINAL DESIGN: Breaking the low-quality image due to the night. Using 360° light to build three-dimensional shadows and face-lift effect, homogeneous soft skin light. It's really a great gift for anyone you love. 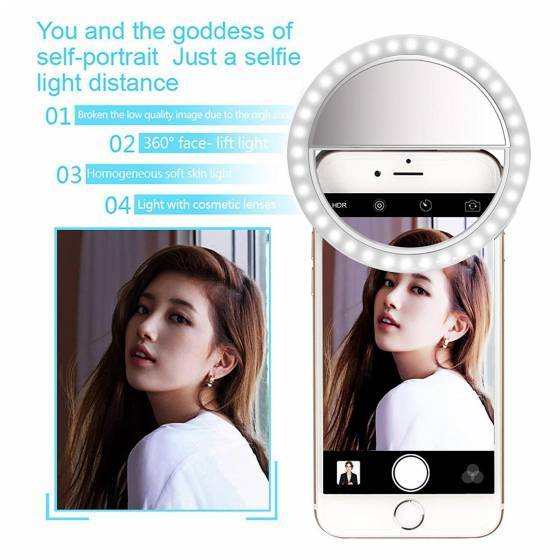 ✔COMPACT TO CARRY AND COMES WITH MAKEUP MIRROR: Works on taking a selfie, live show, art photography, objects supplemental light, selfie fill-in light or inadequate light conditions. 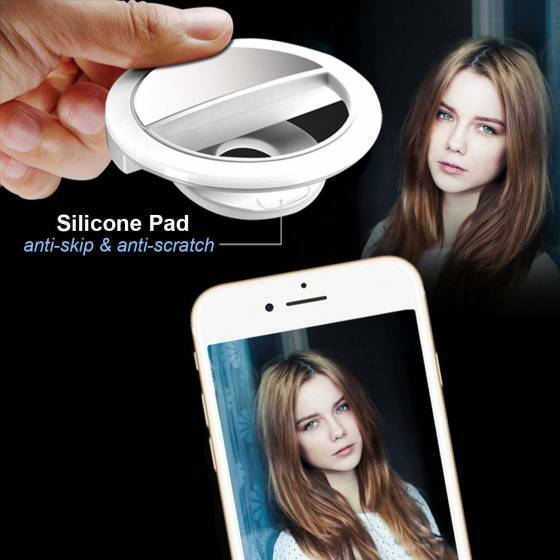 You can take it anywhere and HD mirror on the selfie light is going to be of help for your makeup anywhere.